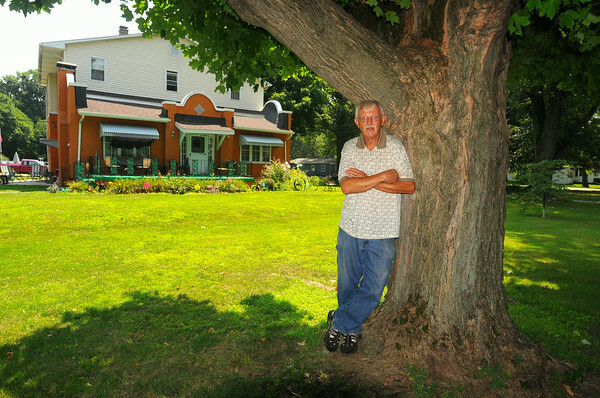 Joe’s castle: Joe Korenski stands in the front yard of his Clinton Road home. The Dollar General chain of stores wants to build next door in a residential neighborhood. Korenski has about 250 signatures hoping to persuade to Area Plan Commission to veto the idea.